Whether you're traveling or need to send or receive money internationally, we've got you covered with convenient foreign exchange services. 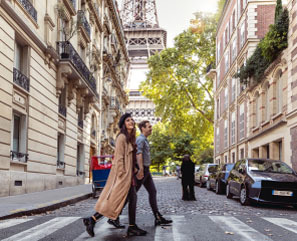 Plan ahead for your next international adventure, exchange your currency before you go. Send or receive international wire transfers with foreign currency conversion. An international draft is a secure form of payment that is similar to a check; it is drawn on a bank abroad in the local currency. Traveling soon? Plan ahead with the help of these international travel tips. 1Consulte el listado de tarifas para obtener detalles completos. La tarifa bancaria no incluye la tasa de cambio actual. Foreign Exchange (FX) products and services are provided by TD Bank, N.A. 's affiliate, The Toronto-Dominion Bank.